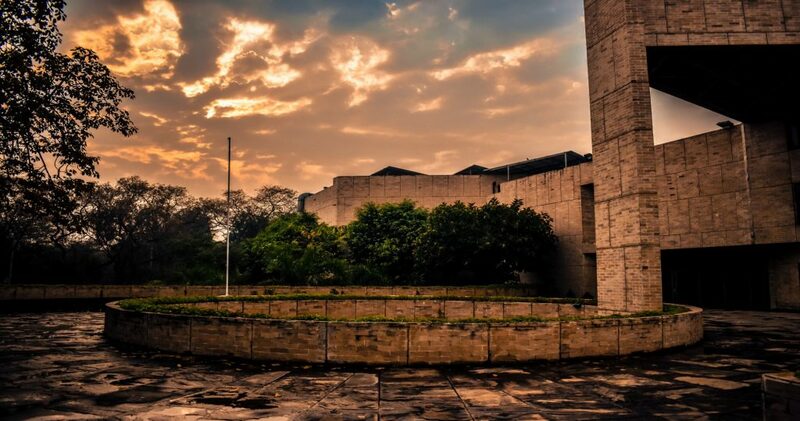 Having been at the IIFT campus for a few weeks now, I feel a lot of facets are unique to it. Being located close to the heart of India’s capital,yet an eerie feel at various times. This course teaches us, more than anything else, to be restless strivers seeking optimization in everything we do, tying loose ends, working out analytics and metrics and models. I wondered if the same spirit of optimization and measurement of ROI could be extended to all our activities inside the campus. For example, how to minimise turnaround time at the mess food counters would be an interesting study at the cusp of group behaviour, supply chain management, operations research.IIFTians might be vying for a wide variety of jobs in the FMCG space but it is one FMCG brand of instant noodles that comes to the rescue from nocturnal hunger pangs. It’s funny how we study about marketing strategies and influencing consumer behaviour all day, but remain as susceptible to being influenced as consumers beyond the four walls of our classrooms. If there were any lessons required in inclusive diversity, this is the place to be. From systematic allocation of time to both south and north (read Guru Randhawa) music in the rooms, to similarly equitable allocation of morning dosa and north Indin lunch, we learn not just to tolerate but also celebrate differences. In fact, the 3Ps of the triple bottom line are quite uniquely relevant to this campus. Profit stands for tangible results in terms of GPA, success in competitions, placements and other finite distinctions. Passion is embodied by a wide eyed fresher entering the hallowed portals of this institution, with the vaguest clue about a domain, turning into a passionate afficionado in months through study, mentoring and exposure. The last P is for people, for profits are unachievable and life hardly enjoyable without them. The high strung ones, the lazy ones, the cool ones, the warm ones, the practical jokers, the big occasion chokers, the philosophers, the navigators. A wide bright spectrum, with whom one shares a unique camaraderie, one that includes but also goes far beyond LinkedIn invitations and lateral recommendations.Friends that make sure you don’t take success to your head or failure to your heart. For ultimately we are nothing but minute particles in this infinite cosmos on our own unique journies, and the more we learn, the humbler we become. It is in this context of systematic allocation that I find Aditya Birla Capital to be the most coveted brand. Just like life at IIFT teaches us the virtue of wise investment of the precious resource of our time, effort and passion, similarly Aditya Birla Capital teaches us the value of judicious and informed Allocation of financial resources. Just like every hour of sleep foregone lays the ground for future accomplishments, similarly every penny of wasteful expense foregone created the ground for future generations. Ultimately, ordinary mortals think of the next whereas legends think of the next generations.